CLINDO® All Purpose Cleaner foams and easily dissolves scum and grime. 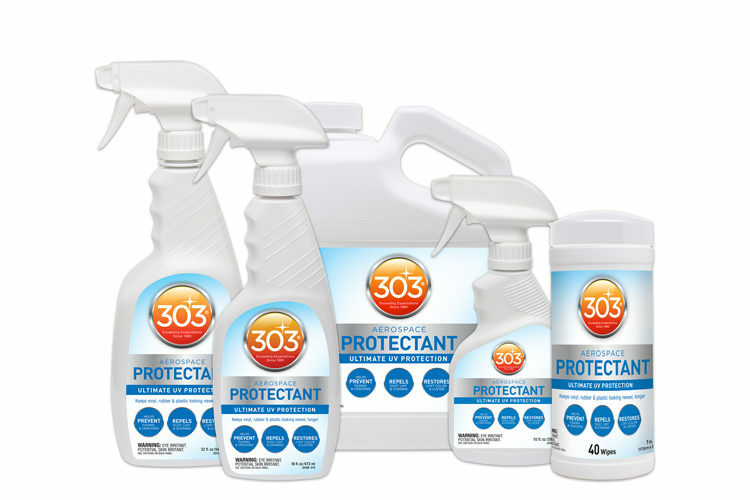 Works on all types of hard surfaces requiring cleaning. SHAKE WELL BEFORE USING. Hold container upright 8 to 12 inches away. Press button. Spray on surface and rub with a damp sponge or cloth. For polishing, use dry cloth or paper towel. For small objects such as telephones, knicknacks, etc., spray cloth first, then wipe object. For spots or stains, try Clindo on a small portion of the spot first, as some spots may prove more difficult and require special removing agents. Do not use on varnished finishes as it may dull the surface. 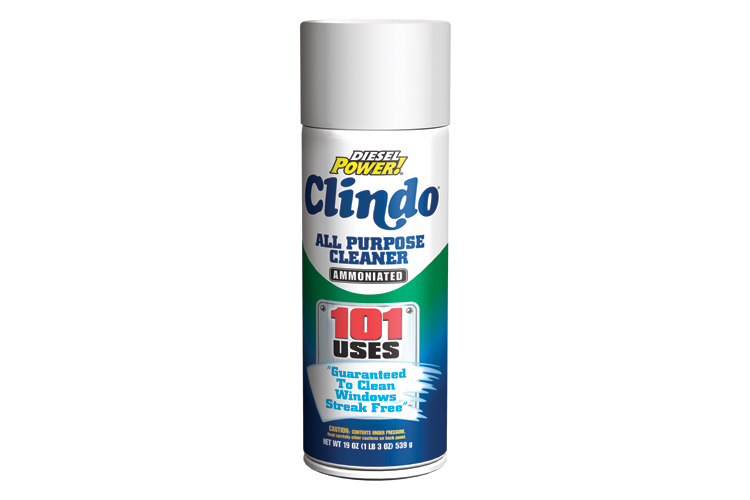 DieselPower!® CLINDO® All Purpose Cleaner is rated 4.8 out of 5 by 56. Rated 5 out of 5 by Pflugerjeep from Loving It - Truly Streak Free I can't say how well this product would work for spiffing up your big rig after jammin' gears down the interstate, but I can tell you it's an amazing glass cleaner. I tried it on my bathroom mirror - I'm a bachelor, folks, that's a truly horrifying piece of glass - and spots and crud just disappear. I've tried a lot of products that claim to be streak free, but still leave smears and marks no matter how hard you try. Clindo just disappears, leaving no streaks whatsoever. It's almost spooky how clean the glass is and how it sparkles. I've got a new favorite product. 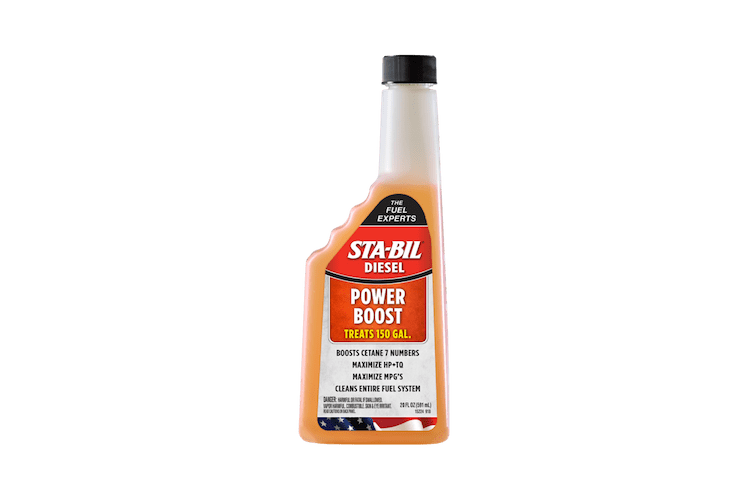 Rated 5 out of 5 by mkurtenbach from Great for cleaning all kinds of surfaces Originally got this to use on car windows. The first window I used it on, was surprised how black my towel got. It not only did a great job cleaning the window, it also got off a lot of stuff I didn't even know was on there. Much better than my previous window cleaner product. Since it did so well on the window, I then used it on other surfaces of my cars. So far, it has worked great on everything from metal trim to dashboards. I really like how I am able to grab just one thing to do all my cleaning. That alone makes this worthwhile to me. Rated 5 out of 5 by rorsino from Works Great! As an All Purpose Cleaner, this stuff is the "Cat's Meow"! It does a great job on windows, vinyl, plastic, metal....you name it. I went through a whole can in one days on my cars, Jeep, and other things around the house. Really have to use it in the shade in order for it to be "streak Free". And using it in the shade, it really is "Streak Free"! The only place I can find it is on Amazon though. It shows Sears carries it but I cant find it. It needs to be available locally! Really is a great All Purpose Cleaner!! Rated 5 out of 5 by Strategic Wholesale from A great product for all purpose use. Love this product. 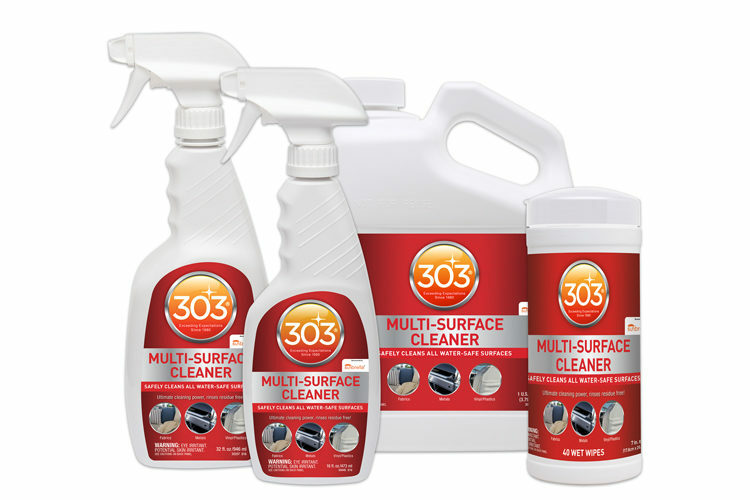 It makes cleaning multiple surfaces achieved with just one product and does an incredible job while application and cleaning is as simple as spray and wipe. Doesn't get any easier...Doesn't get much better especially for $5.99 a bottle! Recommend with 10 stars! Rated 5 out of 5 by Bob C from Spotless!! Best glass cleaner I've used. The foaming action not only helps with the cleaning but it also makes the application/coverage easier. You won't be disappointed!!! Rated 5 out of 5 by Diane from It Works ! I have found my new go-to cleaner. So far ,everything I've used it on has cleaned up great. Everyone should try it !!!!! Rated 5 out of 5 by vette84 from Fantastic cleaner The Clindo all purpose cleaner is amazing and so easy to use with the spray can. 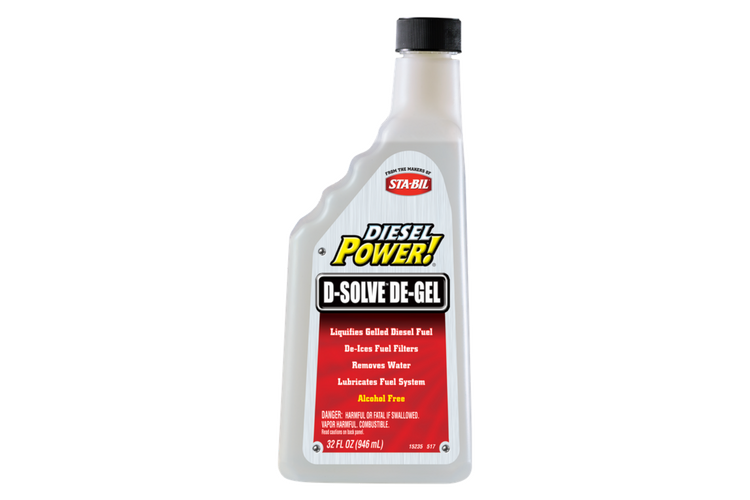 I use it to clean my classic car windows and wheels, and motorcycle wheels and chrome, WOW! what a shine it brings out and no streaks on the glass . My wife loves it as well using it in the kitchen, baths and on the patio surfaces. All our mirrors and windows in our home look bright and streak free. IT also cuts greas on the stove and on the vehicle wheels. A must have in every house hold.